The Xtreme Racing Team is looking for support by Sponsors. 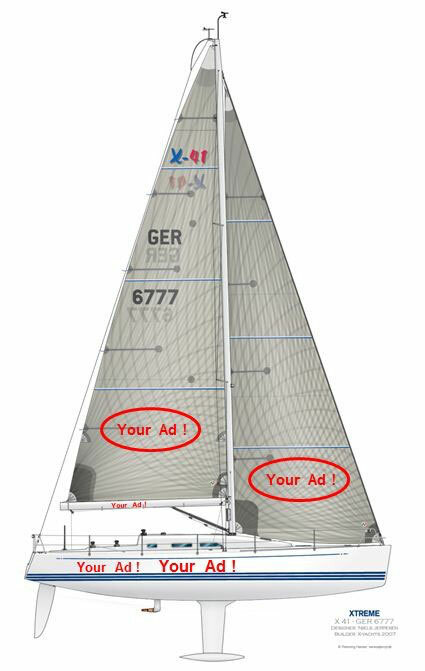 We can offer to carry you advertisement during local and international race events in Turkey, the Aegean and the Med and while practicing and cruising in Turkish and Greek waters. You can make use of the spaces on hull, deck and sails. Furthermore there is the possibility to place your ads on the spars, gear of the team and flags (in the harbour). Or you can make use of space on this webpage or our facebook page. If you are interested please feel free to download our sponsorship proposal and contact us.